According to British car website Autocar, Alfa Romeo is currently working on a hybrid version of its popular sports sedan, the Giulia. Its sources say the car will be a coupe and will adopt Formula 1 technology. We already know Alfa Romeo has announced its return to Formula 1, which means it only makes sense that the carmaker is developing a new hybrid and energy recovery system. 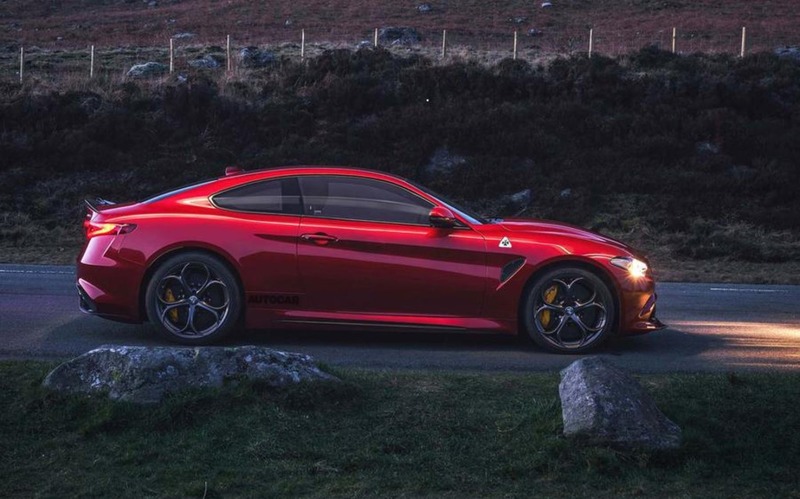 If a Giulia coupe were to one day be a thing, it would be offered in two hybrid flavours, with either a 2.0-litre turbo four or a twin-turbo, 2.9-litre V6. Power would be equally impressive for both engines, with the four-cylinder package pumping out 345 horsepower, and—hang on to your chairs—641 horsepower for the top-flight V6 version! Equipped this way, the Giulia coupe which, according to this rumour, would be dubbed Giulia Sprint like back in the days, and would compete against the BMW M4, Audi RS 5 and the Mercedes-AMG C 63 S Coupe. The only image we have to share at the moment is the profile shot you see here, a rendering created by Autocar. As we’re writing this, Alfa Romeo has not confirmed anything about the production of such a mesmerizing machine, but if we rely on the information that’s currently out there, the entire project seems rather serious. We even know that the car’s recovery system will be developed and tested by Ferrari and Magneti Marelli, the same folks that worked on the Ferrari LaFerrari hypercar. At the moment, we have no idea if or when this high-performance Italian coupe will be produced, but consider us intrigued. We’ll tell you more as we get more info on the car.